Howlin' Wolf Records: SIX STRINGS: "LEGEND OF BRUCE LEE: VOLUME TWO" 10 Episodes in a Three-Disc Collection, Available on DVD April 4. #LegendofBruceLee ...And a GIVEAWAY! 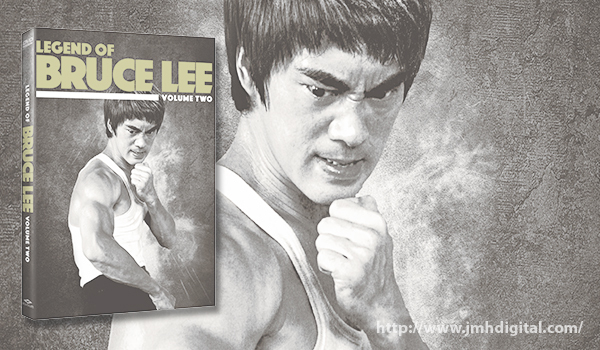 "LEGEND OF BRUCE LEE: VOLUME TWO" 10 Episodes in a Three-Disc Collection, Available on DVD April 4. #LegendofBruceLee ...And a GIVEAWAY! Danny Chan (Ip Man 3, Kung Fu Hustle) is back as legendary martial arts icon Bruce Lee when Well Go USA Entertainment debuts LEGEND OF BRUCE LEE: VOLUME TWO on DVD April 4. The set features 10 action-packed episodes on three-discs and follows Lee as he comes to America and begins a revolution in the world of martial arts. LEGEND OF BRUCE LEE: VOLUME TWO also stars Michelle Lang, Mark Dacascos, Wang Luoyang, Tim Storms, Ray Park and Michael Jai White. And our GIVEAWAY... Please drop us a note or comment here, What is your favorite BRUCE LEE film?